Danny Echo-Danny Echo. First things first. 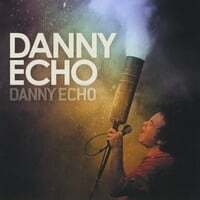 Danny Echo is the name of the band, not a person; although the frontman is named Danny with no last name given. Whether man, band or beast, though, Danny Echo is a rocking act from Vancouver with a big sound and big hooks. They have some Oasis swagger and some Cheap Trick bravado that makes for a promising sound. Standout tracks include the Noel Gallagher-like ballad "Tomorrow Today", opener "Out of Style" which for some reason reminds me of "Remember (Walking in the Sand)", and the Brendan Bensonesque "Help Yourself". 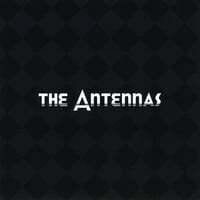 The Antennas-The Antennas. Nashville strikes again, as yet another power pop act to emerge from the home of country music demands our attention. These guys put a rocking spin on power pop, not unlike Superdrag, The Figgs and Sloan, whose "Money City Maniacs" is the apparent inspiration for opening track "A Call to Arms", which like the Sloan track opens with a siren and some crunchy guitar riffs. Other highlights include "Here We Go (Record Store)", which manages to get some ba-ba-bas going in the chorus among all the riffage; the catchy and more midtempo "Stop Running their Mouths"; the synth-heavy and Cars-influenced "I Found Out", and the driving "Do, Don't Say". These guys rawk, and this might be a better Superdrag disc than the actual new Superdrag disc. 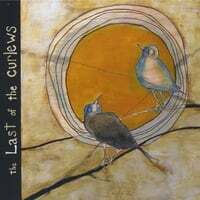 Brett Kull-The Last of the Curlews. And now for something a little different from the riff rockers above. Normally an album with some prog influence and a 7-minute opening track would scream "run away" to me, but this Philly singer-songwriter has managed to a craft an ambitious and dense disc that has enough pop hooks to keep me coming back. 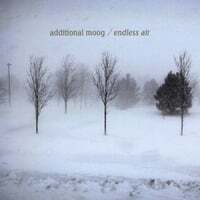 The aforementioned opening track, "Acadia Gulls", is Exhibit A as despite its length it keeps coming back to its haunting and melodic piano-based chorus in a manner reminiscent of The Electric Soft Parade's "Silent to the Dark". "If She Could Be Who She Wanted" is another gem, with its shimmering melody, "Hey Horizon" is a wonderful acoustic-based number that recalls a cross between Peter Gabriel and Neil Finn, while "Become a Ghost" and "Autumn Endings" are the kind of British-styled pop/rock that was done so well on the Pale Hollow disc. An unexpected pleasant surprise. The indefatigable James Hall, already with two power pop classics to his name in the space of three years as Shake Some Action!, is busy at work on his third album and he's opening up the sausage-making to us all on his new blog. The plan is for Hall (along with bassist and power pop renaissance man Gary Miller) to set out in detail the recording of their new disc, song-by-song, as they work in the (virtual) studio. They have one finished product to their credit now, and it's an auspicious beginning: "Touch the Sky", a tune as good as anything on the first two albums. You can go in for the full details or just listen to the finished product, but either way it's a fascinating fly-on-the-wall look into the recording process. Back in 2004, a Canadian band called AKA The Hots got some notice in the power pop community with their EP Touchy. They kind of disappeared after that, but frontman Shane Thurling Quinn has re-emerged with a fine new track titled "The Up and Comers", and it's available as a free download from iLike. It's a fine power-poppin' tune and you can't beat the price. Download "The Up and Comers"
Often I've written here about artists that straddle the line between (power) pop and alt-country/Americana, and one of the acts that consistently crosses that line back and forth is Seattle's Straw Dogs. Back with their fifth album and first in four years, tunesmiths David von Beck and Darren Smith have crafted yet another laid-back and melodic marvel that pop fans will enjoy. 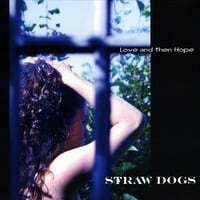 Love and then Hope opens with the languid "Lie Awake", displaying the Dogs' signature sound. "Could You" is more upbeat, featuring von Beck & Smith's stellar harmonies with an ending that's reminiscent of The Everly Brothers. The rootsy "Down My Hall" is another winner, as well as the radio-friendly "Serious Love". "Here In My Garden", meanwhile, is as good as anything on The Jayhawks' Hollywood Town Hall, and "Fallow" is a great Eagles-style midtempo rocker. Von Beck and Smith are such musical pros that there's a uniform quality to the proceedings - not a bad track to be found. If you're in the mood for some great "Popicana", you won't do any better than the Straw Dogs. A yearly rite of passage in the power pop community, the International Pop Overthrow 3-CD compilation is a tribute to the state of independent power pop, the artists themselves, and the man behind the curtain, David Bash. Every year, the IPO comp features great tracks from established artists and tracks off upcoming albums, but the real treat is making new discoveries of some of the lesser-known artists. 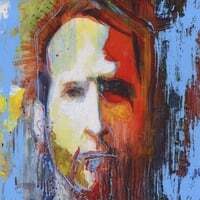 First of all, any compilation featuring tracks from arists that have been featured on this site like Roger Joseph Manning Jr., Private Jets, The Backroom, Leave, Wiretree, The Respectables, Peter Baldrachi, Kai Reiner, Steve Caraway, The Afternoons, Chris Brown, and The Tomorrows is worth it for that alone. And then you have the new tracks yet to be released. Plasticsoul's "Throwaway" is one of the best songs here, and has me salivating for his followup to 2005's brilliant Pictures from the Long Ago. Throw in great new tracks from The Vandalays and The Ringles as well, and it gets even better. Pleasure Trip. Their "Without You" is a new track to IPO, but it's of a piece with their self-titled 2007 debut, a fine blend of power pop, Americana, and 60-styled roots pop. As always, the comp is on the Not Lame label, and you can get it from the source here. Joe Adragna has done it again. 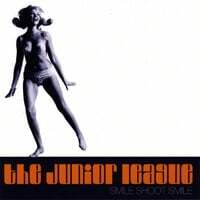 The man behind The Junior League, whose 2006 debut Catchy was precisely that and then some, has brought us a new collection of power poppin' tunes that may even be better than the debut. As mentioned in my review of Catchy, Adragna might be the next best thing to Marshall Crenshaw in terms of his similar vocal and musical styles. And "Everybody Loves Me (But You)" with its easygoing melodic charm is Exhibit A for this comparison. "Always Last on the Same Route" has enough of a rootsy retro sound to pass for a lost Grip Weeds classic, and the pensive "Man Called Disaster" recalls some of Crenshaw's recent work. Meanwhile, the rocking (and rollicking) "It's the End" brings Eugene Edwards to mind, "Memories" has that 60s rock sound down, and "Hey! Pop Life" is garage goodness (Little Steven needs to hear this one pronto). No sophomore slump here. As Professor Farnsworth would say: Good news, everyone! Pretty good tune - has a "The Way" way about it. The full album hits the street on April 17, timed nicely with the beginning of baseball season. Fastball, baseball, get it? Gerry Beckley-Gerry Beckley's Happy Hour. The man best known for being one-half of 70s soft rockers America is back with his latest solo release. 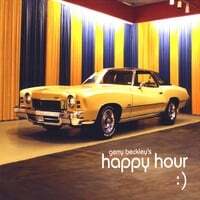 For those who haven't followed his solo career, this is the time to jump in as Happy Hour is a compilation of Beckley's top solo tracks, making for one fine listen. The sound here is pretty much as advertised - if you like(d) America, you'll want to pick this up, and those who have come to enjoy Jeff Larson (who's worked closely with Beckley over the year) will enjoy this as well. In fact, there's a version here of "I'll Be Gone", recorded by Larson on his 2005 Swimming in the Make Believe. Highlights include "Emma", which has the effortless grace of "Sisten Golden Hair", the beautiful "Crying", and the rocking (by America standards, at least) "Hang Your Head High". 18 tracks here, so it really is a happy hour-styled 2-for-1. 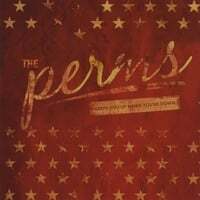 The Perms-Keeps You Up When You're Down. This is the fourth release from this Winnipeg band, and although they've gotten some play in the power pop community, until now I could take them or leave them. That's changed with Keeps You Up Where You're Down, a high-energy, highly-melodic beast of a disc that's worth your acquaintance. There's a little bit of countrymen Sloan in them, as well as modern power poppers like Weezer and OK Go, as well as indie power poppers like The Black Mollys. A number of recommended tracks here: "As You Were", "Running Away", "You Don't Know" (a more listener-friendly variation of Green Day's "Brain Stew"), and the toe-tappin' "Nightshift" stand out in particular. This one's so good that perhaps I need to go back and listen to the earlier stuff. 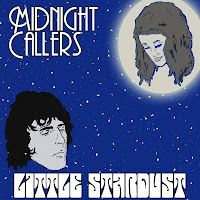 Midnight Callers-Little Stardust (Single). Normally I don't review CD singles, but this one came to my attention and this Portland band shows some promise. There are two tracks here - "Little Stardust", a tuneful rocker that reminds me of The Shazam, and "Faux Girl", which has a more British sound that almost recalls the Small Faces. Anyway, don't take my word for it - just listen to them below. They also have some other tracks on MySpace to check out. Miles Nielsen-Miles. The debut album from this Illinois pop-rocker (and son of Cheap Trick's Rick Nielsen) is an engaging treat. Nielsen describes his sound as "Beatlesque cosmic Americana", and he's hit the nail on the head as these tunes are melodic, trippy and rootsy - often at the same time. Listen to "A Festival", the shambolic and charming opening track, and you'll be sucked in. "Gravity Girl" is another winner, sounding like what his dad's band might have been had they gone in a more countrified direction. Also of note: the bouncy "1938", "Don't You" (which reminds me of another similar rock scion, Jordan Zevon), and the sinuous rocker "Hey Hey Hey". The broad appeal of this disc should find him fans the indie and Americana crowds as well as the power poppers. 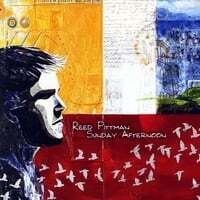 Reed Pittman-Sunday Afternoon. It seems like every other post I make these days features an artist from Nashville, and Reed Pittman is the latest from (Pop) Music City to catch my ear. Reed's a piano man, and while the usual (Folds/Coldplay/Keane) comparisons apply, it also reminds me quite a bit of the fine Magdalena disc from a few months back. "The Longest Day" is first-rate popcraft, piano or otherwise, and "Jacks & Queens" is the kind of dense Brit-pop that skinny guy with the funny t-shirts who always shows up at the Grammys with his band is known for. And the title track is quality as well, starting out as a plaintive ballad and then building up to a swelling chorus. A promising debut. Many of you may be familiar with the digital download store Amie Street, but I'd bet even more of you aren't. What sets Amie Street apart from other music e-tailers such as iTunes, eMusic, Amazon & the like is that it employs a demand-based pricing structure. When an album first appears on Amie Street, the price is either nominal ($1-2) or free. As more people purchase (or download) a song or album, the price goes up. They usually offer 320kbps DRM-free mp3s, although some older titles have lower bitrates. 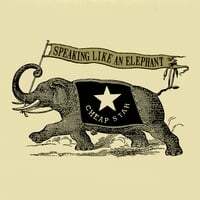 What follows is a list of free and $2.50-or-less albums that have been recent favorites on the site. Happy hunting! Another day, another great power pop album. Today's entry hails from Beantown (that would be Boston for the unfamiliar), and they have quite the power pop pedigree. Ken Stringfellow produced their 2006 debut and mixed this one along with Jellyfish's Chris Manning. And they have Mike Musberger of The Posies and The Fastbacks on drums, plus a whole host of other power pop studio veterans that are listed at their CD Baby page. 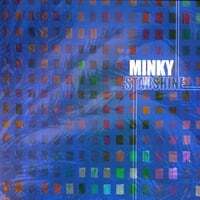 So it's with great pleasure that I can say that Unidentified Hit Record, the sophomore effort from Minky Starshine, sounds as good as it looks on paper. Opener "Bitter End" shows what sets them apart from many other power pop bands - the use of horns while maintaining a traditional power pop sound. In fact, with some glockenspiel thrown in, it implies like what Bruce Springsteen might have sounded like had he gone down the power pop path instead of traditional rock. The infectious "Good to Me" follows, with more horns and a honky tonk piano. With Stringfellow's involvement it's no surprise that there's a Posies influence here as well, and the driving "Paper Rain" and "Nobody Better" are a couple of vivid examples. Other highlights include the string-laden "Brand New", a wonderful track with great harmonies that sounds like nothing else on the disc, and the midtempo "Misery", which mixes in a little pedal steel without shedding its pop feel. No sophomore slump here, and an early top 20 candidate. Call it pop, soft rock, MOR or whatever - nobody does that early 70s AM radio sound better than Kyle Vincent, and he's been doing it for years. His latest is Where You Are, his tenth album, and like fine wine (or a fine pop song), he gets better with age. "It's Gonna Be a Great Day" serves as both the opening track and a description of when you first hear a Kyle Vincent disc, and it manages to capture that early 70s feel yet sound contemporary as I could easily hear an artist like Mika covering this song (albeit a bit more histrionically). 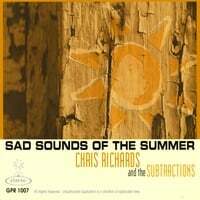 The cheerfully uptempo "In Another Life" also recalls those salad days, in the vein of Godspell, while "The World is Upside Down" is a vintage Eric Carmen-style piano ballad. Elsewhere, the lovely "Emily Standing" will appeal to Emmit Rhodes lovers, and "Goin' Down" is catchy in a Gilbert O'Sullivan kinda way. And there's no better way to establish your early 70s cred than by closing your album with a song called "Petals of Peace". 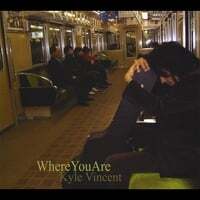 So basically, if you're man (or woman) enough to admit you dig Bread, Air Supply or any of those other early 70s soft poppers, you should make your acquaintance with Kyle Vincent, a man who was born about 35 years too late.